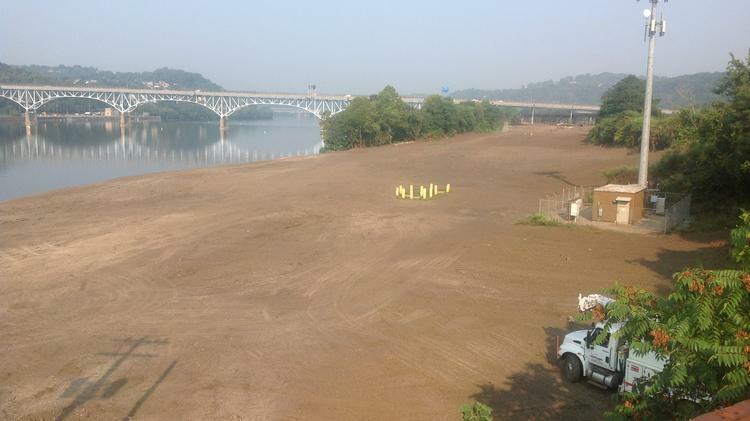 The Power of 32 Site Development Fund has turned to another Pittsburgh-area riverfront for its latest loan. Real estate records indicate that Power of 32 Site Development FD Partners LP has granted a $9.6 million loan to Riverfront 47, LP, the affiliate of the Mosites Co, engaged in redeveloping a 47-acre stretch of land used for decades as a scrapyard that spans from Sharpsburg into Aspinwall and O’Hara Township along the Allegheny riverfront. Representatives for Mosites were not immediately available for comment. Organized by Allegheny Conference on Community Development and managed by Callay Capital LLC, the Power of 32 Site Development Fund works with a host of financial partners, foundations and other organizations to provide loans to help jumpstart key development sites in a 32-county region of Pittsburgh that extends into West Virginia, eastern Ohio and Maryland. The Allegheny Conference couldn’t be immediately reached for comment. The conference first established the fund in 2015, launching it with $49 million after two years of capital raising with an initial goal of $40 million. The fund was designed to seed early stage development projects, with flexible terms, and to help overcome the nagging challenge presented by a lack of quality sites, an issue the economic development institution has long considered a regional weakness. The loan to Riverfront 47 ranks as the largest so far by the fund, after a $9.5 million loan was made to Hazelwood Green in 2016. The fund has also made loans to projects in Follansbee, West Virginia and in Beaver County. Riverfront 47, LP has expanded its footprint for the site as well. Published reports indicate it has bought five acres along the Sharpsburg riverfront from the ownership of Silky’s Crow’s Nest, along with the lease for the restaurant property, which is owned by Sharpsburg. Riverfront 47 has been working to formulate a redevelopment plan that has included a mix of different approaches that included residential, commercial and light industrial for a site that extends along 1.5 miles of Allegheny riverfront.